*The following is a sponsored post for Rustic Maka, bringing you more FREE content for improving on what we know better! Show me a busy woman, often a mom, who looks like she has it all together, and I’ll show you a tired woman who invests all the time and energy she can into being her strongest every day. You may not see her early trips to the gym, the lunch hour power walks or the late night housecleaning marathons. Yet, she’s powering through the days managing office projects, shuttling kids, volunteering, and more. I think most of us can relate to that sense that we have to stay strong so we can be professional, keep up with our kids and be the women that our families rely on . We know fitness and nutrition are key to this . Yet, our personal care products are also important. In a nutshell, we know the latest environmental health information tells us less is more. So, how do we transition gracefully from the gym to the office to helping our kids with homework? We want the old-fashioned strength of a deodorant that helps us feel confident. 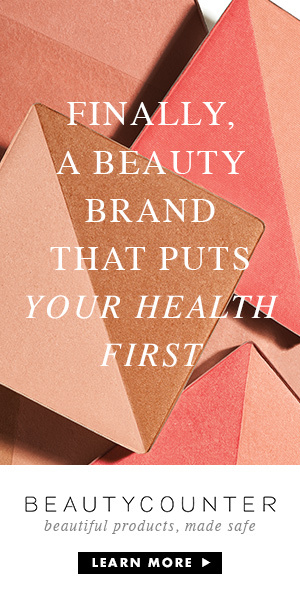 Yet, we’ve read the science concerns about ingredients from parabens to aluminum to triclosan and propylene-glycol. Kasia Rothe and her sister Monica Stakvel are Polish-American sisters living in Michigan who started wondering about the range of ingredients in American personal care products. “We found it really hard to find truly non-toxic products,” shared Rothe, “ I thought, it’s not just about food. It’s what goes on our bodies and in our homes.” As a busy mom with young children, Rothe felt especially self-conscious about body odor, yet she wanted to be cautious about what products she was using on her body and around her children. The sisters started creating their own deodorant recipes in the kitchen, looking at simple, safe ingredients, then experimenting with texture and natural essential oil scents. They created the Rustic MAKA line, with MAKA pronounced mah-kuh and standing for family names Monica, younger sister Alexandra, Kasia and mother Anna. Their first product was named Pachy, pronounced pah-yeh, which means underarms in their native language. Trying out the Pachy line was a treat for me, because I’ve been searching for natural deodorant alternatives yet don’t want something that seems too crunchy or messy to apply. The Pachy comes in tubes like traditional deodorants and is buttery smooth with just a hint of texture. Of the five scent choices, I was drawn to the Calming Fields with its lavender and spearmint. Sweet Lemonade is a bit edgier with its sweet orange, lemon and vanilla. Men can appreciate that Rough Rivers is made with them in mind. Wild Meadows seems sort of unisex and mild. The simplest formula, for those who don’t even want essential oils (there is a chance of sensitivity to essential oils) is the simple Naughty Butter. I had to ask what was behind this name. All of the deodorants use shea butter and coconut oil, so the sisters intended to call this one Nutty Butter. But a typo happened with the computer spellcheck, and they decided they’d keep the exotic twist on the name after all. This version is so gentle and soothing that customers have been using Naughty Butter to do things like soothe the bikini area after shaving, and it seems the name fits after all. The Rustic MAKA has already expanded a bit into a body scrub called Skora in the Calming Fields scent. You guessed it, Skora means skin in Polish. When we asked about ingredient sourcing, we learned that Rustic MAKA products use organic shea butter, coconut oil and arrowroot powder. They are working toward the goal of sourcing their essential oils from organic sources, as well. Another note about going green with the Pachy deodorants is that the full-sized products are 3.2 ounces, which is larger than many deodorants you find on store shelves. This can help them last longer, perhaps up to 4 to 6 months depending on use. They note that it’s best to use the products within 12 months. When you shop online with Rustic MAKA, use code “clean15” for 15% off your orders through January 15th, 2015. Enter below and RSVP to join us October 23 during our Strong, not Scared themed #CleanCouponing Twitter party, when we’ll be giving away a $50 gift basket from sponsor Rustic Maka! Looks like a great brand. Too bad I missed the giveaway! I love hearing the story behind a brand, especially a green one. Do you know if these products are available in Canada?I’d like to try! I would love to try their deodorant. I too am hoping to find a deodorant that isn’t messy to apply and actually WORKS! Thanks for the great info Anne.